As a dentist I feel privileged to be entrusted with my patients’ oral health. I take caring for each person very seriously because I view good oral health as a gateway to an ideal overall health. Besides achieving a natural look for teeth, my goal is to make them function well now and for years to come. Cortlandt Manor Dental offers patient-centered dentistry, tailored to each person’s situation. We help people of all ages take control of their oral and overall health and empower them to achieve their best smiles! Dr. Ifeoma Nwokorie and our team are experienced professionals. We are also warm, friendly, and personable. We love building long-term relationships with our patient family and are excited to do the same with you! Your personal dental plan will include preventive care and routine dentistry, including exams and cleanings. We also offer bridges, crowns, dentures, implant restorations, and root canals and extractions. If you wish to make your smile a little brighter, we provide cosmetic dentistry, including teeth whitening and veneers. We have invested in leading-edge technology for the most accurate diagnostics and treatment planning. In addition to digital X-rays, we use the iTero® digital impression system and offer VELScope® oral cancer screenings. 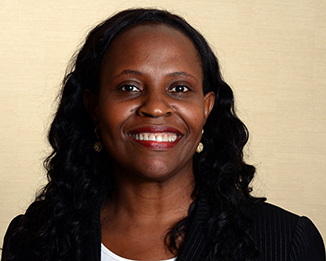 Dr. Nwokorie and our team look forward to welcoming you and your loved ones to our Cortlandt Manor, NY dental office. Please contact us to learn more and schedule a complimentary consultation!